… Need help? Just ask! First of all, we come to you! You’ll never need to bother packing up anything or going anywhere with your computer. 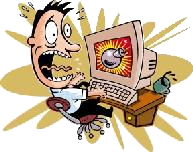 If we need your machine in our shop to repair your computer we can facilitate this with a small pickup/delivery fee. (Price can vary based on travel time or distances). Only in more complex issues will we need to actually take your machine back to our labs. Our on site service is often cheaper than our competitors standard shop rates, and sometimes more than 50% off their on site rates! Affordability, speed and convenience is the name of the game. When we do need to take your machine back to our labs, we nearly always bring it back to you the very next day! We now provide super affordable remote help and assistance over your high speed Internet connections! Click here for remote assistance information. Here are some of the things we can help you with, but don’t let our list here limit you. Call us if we’re missing something and if we can’t help you, we’ll gladly and happily point you in the right direction to get the help you need! 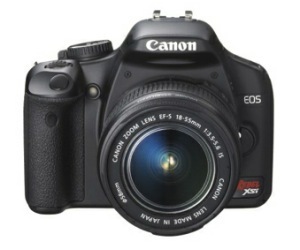 – Digital Camera set up and configurations. We’ll show you how to get the most out of digital photography. – Tutoring and Learning Have a list of things you want to learn? We’ll show you how. – Highspeed Internet setup and wired or wireless router networking setups. Call us before you do anything. We’ll help you select a provider in your area and let you know what steps to take first. Then when you have the equipment, we’ll come connect it all and configure it for safe and secure usage. – Highspeed or dialup connection problems or home/business network problems. We can come troubleshoot and help repair any issues with your network or internet connections. – Printer Installations, Configurations, and Problem Solving. 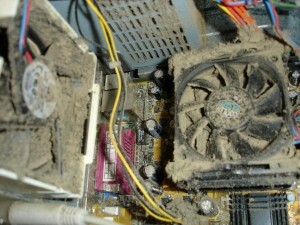 – Computer Cleaning. Did you know that excessive dust in your PC can actually clog your CPU fan and eventually seize it up, causing the CPU to melt, and effectively kill your computer? When your PC is in our shop we always clean the fans out as a part of our service to you. – Networking. We will set up your home or office network so all your PC’s can not only access the internet, but also share files and even printers too! – Connect your PS3 or Xbox to your High Speed Internet. – Is your computer running SLOW? We can help! – Virus or spyware removal. Maybe you shouldn’t have clicked that file, and now you have a virus? Yup, we have that covered too! 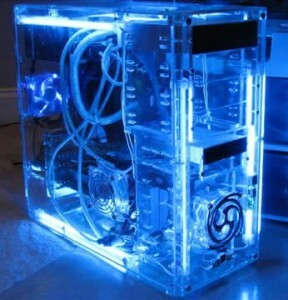 – Custom Computer Builds. Have a dream machine in your mind that you want to make a reality? We have connections in the computer wholesale industry. We can order exactly what you want and put it all together for you! From the smallest cheapest, most affordable machines, to the latest in high tech bleeding edge technologies! – Internet Security. We don’t want to scare you, but if you aren’t already protected, chances are there are people trying to get into your computer right now… We will help you get secure! – Website Design and Hosting. We provide personal and exclusive website design and hosting. Experience our first class attention and service. We host, maintain, and run our own web and email servers. We can not only work with you to design or re-design your website, but can also host your site, and provide webmail access to your site. Remember, this list is just a sample… There are many more ways we can help you. If you have any questions about anything technology, just call and we’ll do our best to help!